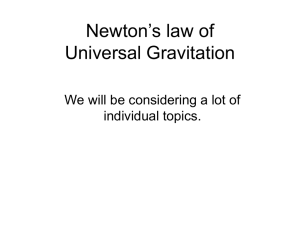 Gravity or gravitation is a natural phenomenon by which all things with mass are brought towards (or 'gravitate' towards) one another including stars, planets, galaxies and even light and sub-atomic particles. 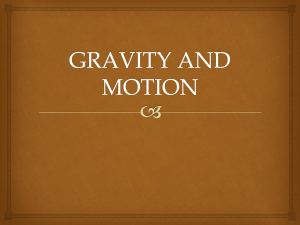 Gravity is responsible for the complexity in the universe, by creating spheres of hydrogen, igniting them under pressure to form stars and grouping them into galaxies. 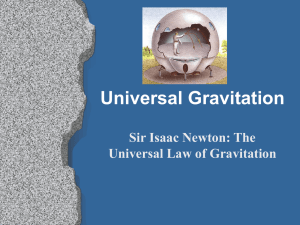 Without gravity, the universe would be an uncomplicated one, existing without thermal energy and composed only of equally spaced particles. 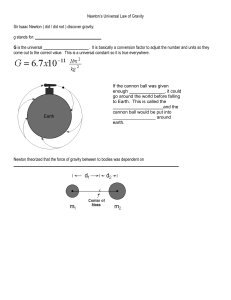 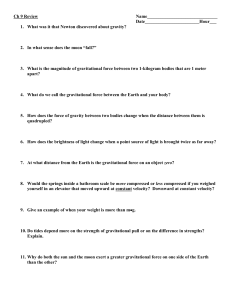 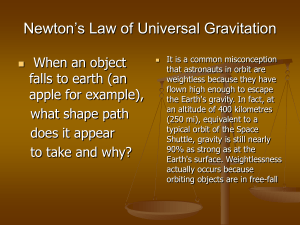 On Earth, gravity gives weight to physical objects and causes the tides. 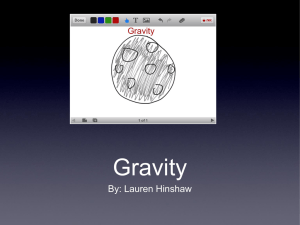 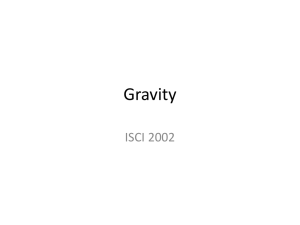 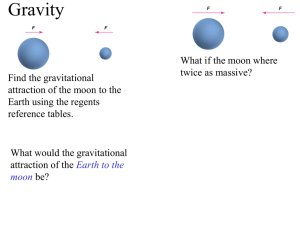 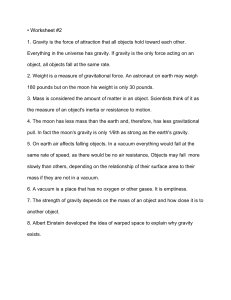 Gravity has an infinite range, and it cannot be absorbed, transformed, or shielded against.Gravity is most accurately described by the general theory of relativity (proposed by Albert Einstein in 1915) which describes gravity, not as a force, but as a consequence of the curvature of spacetime caused by the uneven distribution of mass/energy; and resulting in time dilation, where time lapses more slowly in strong gravitation. 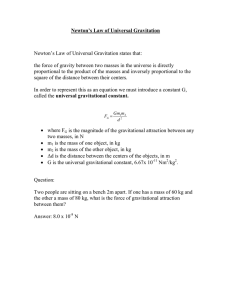 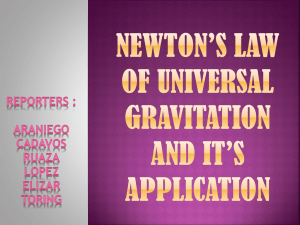 However, for most applications, gravity is well approximated by Newton's law of universal gravitation, which postulates that gravity is a force where two bodies of mass are directly drawn (or 'attracted') to each other according to a mathematical relationship, where the attractive force is proportional to the product of their masses and inversely proportional to the square of the distance between them. 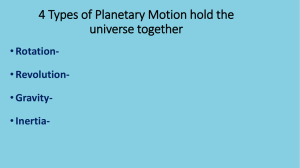 This is considered to occur over an infinite range, such that all bodies (with mass) in the universe are drawn to each other no matter how far they are apart.Gravity is the weakest of the four fundamental interactions of nature. 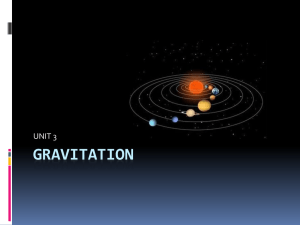 The gravitational attraction is approximately 10−38 times the strength of the strong force (i.e. 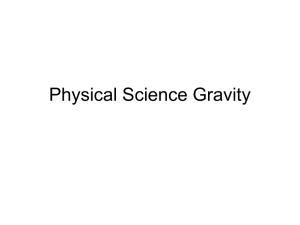 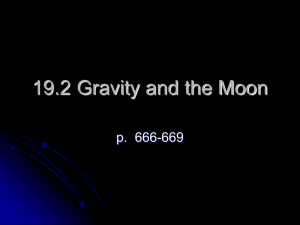 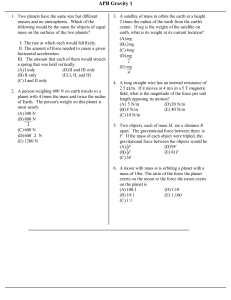 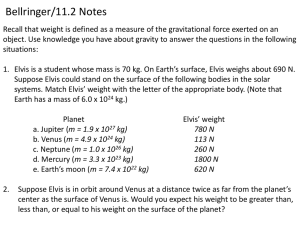 gravity is 38 orders of magnitude weaker), 10−36 times the strength of the electromagnetic force, and 10−29 times the strength of the weak force. 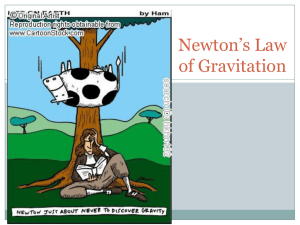 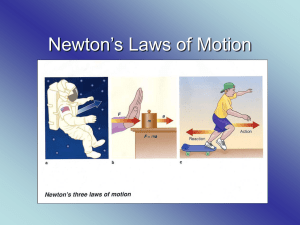 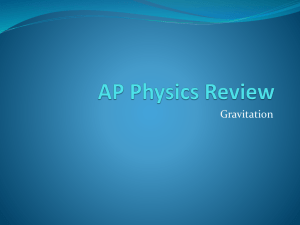 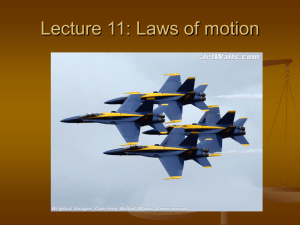 As a consequence, gravity has a negligible influence on the behavior of sub-atomic particles, and plays no role in determining the internal properties of everyday matter (but see quantum gravity). 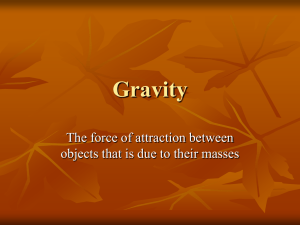 On the other hand, gravity is the dominant force at the macroscopic scale, that is the cause of the formation, shape, and trajectory (orbit) of astronomical bodies, including those of asteroids, comets, planets, stars, and galaxies. 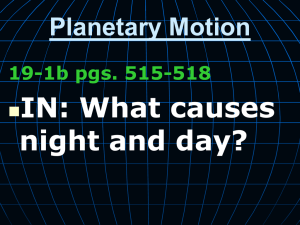 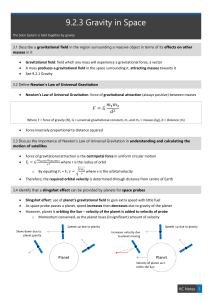 It is responsible for causing the Earth and the other planets to orbit the Sun; for causing the Moon to orbit the Earth; for the formation of tides; for natural convection, by which fluid flow occurs under the influence of a density gradient and gravity; for heating the interiors of forming stars and planets to very high temperatures; for solar system, galaxy, stellar formation and evolution; and for various other phenomena observed on Earth and throughout the universe.In pursuit of a theory of everything, the merging of general relativity and quantum mechanics (or quantum field theory) into a more general theory of quantum gravity has become an area of research.